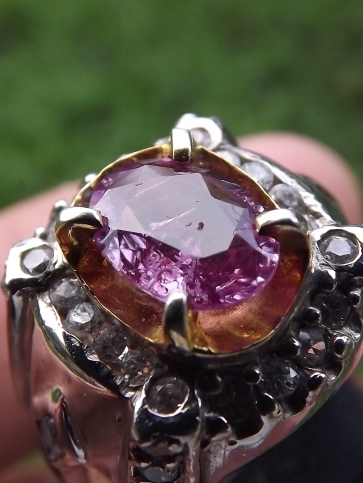 This is a very beautiful full crystal body natural Pink Sapphire. 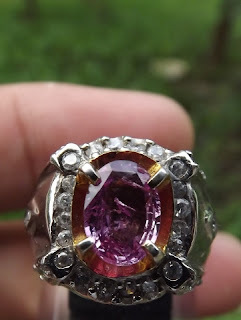 The origin of this gems is estimated Ceylon, Sri Lanka. 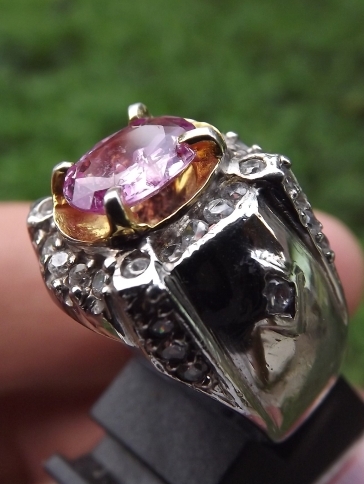 This pink sapphire is already set on a 16mm chromed silver ring. 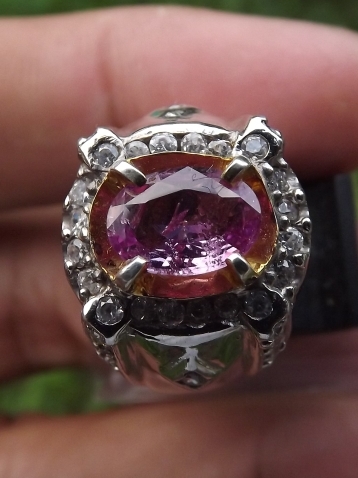 The size of the gems (est) 9,1mm x 6,5mm x 2mm. 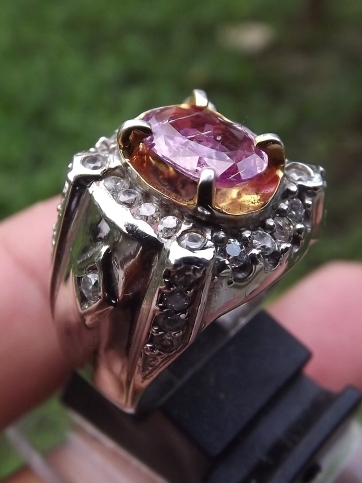 A beautiful natural Pink Sapphire for your precious collections!